Many corporate legal departments today deploy document and email management systems (DMS). 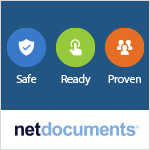 Documents are the lifeblood of lawyers and they produce a plentiful supply of them. 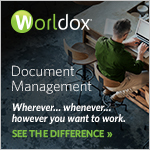 It is critical that they have a very effective document management system to assist their department to be more efficient, increase productivity and mitigate risk. That is why many corporate legal departments have been able to convince their IT department on the merits of a best of breed DMS over less functional and inferior products, such as Microsoft SharePoint, which in many organisations remains the preferred enterprise option for this function. Following the success of these DMSs within the legal department, there is a clear business case for expanding the adoption of an already deployed and proven solution to other business functions such as HR, Finance, Procurement, etc. The in-house legal department, due the nature of the work it performs, potentially has the greatest and most stringent business requirements for document and email management. It presents the highest use case for security including ethical walls and third-party issues; alongside significant regulatory and compliance related requirements; and the need to work remotely and via mobile devices. The legal department also perhaps has the most need for highly secure internal and external collaboration, including sharing of confidential and sensitive documents, within the business and with third parties, such as law firms and other suppliers. It stands to reason that any solution that meets the extensive needs of the corporate legal department is well worth considering for expansion into other business departments. Cost is an obvious consideration, but by no means the most important one. With the initial investment already made in a DMS for the legal department, the incremental costs of rolling out to a wider set of users only pertains to adding more licences for additional PCs/desktops and relatively less implementation services – which in comparison to the initial server costs, is fairly small – be that via an on-premises or a cloud solution. An enterprise-wide adoption of document and email management facilitates a digitised business environment, which is fundamental to wider data security, smart working, knowledge management as well as the adoption of artificial intelligence and machine learning technologies. Interestingly, if you look at the key requirements of any corporate legal department, the most common areas include email, document, matter, contract and records management. If you were to plot the functionality of these systems into a Venn diagram, you’ll find that the core functionality represented by the legal document management system sits in the common intersection in the middle. Why shouldn’t the corporate extend that solution enterprise-wide? A DMS provides a strong foundation upon which to build and layer other document lifecycle applications to effectively meet business requirements across many different corporate functions. Consider unstructured documents– i.e. those that sit in applications such as network file shares or personal hard drives. They have very little additional information, or meta data, attached to them and usually only a small percentage are searchable. Once a DMS has been deployed, it’s very simple to add an OCR (optical character recognition) service so that all records, emails, contracts and practically any type of document can be indexed, enriched, and findable in a single application. This is a blessing in the fight to remain data protection compliant. One of the biggest benefits of this approach is the inherent search capability that would be available to all users, including corporate compliance officers, allowing them to easily search across enterprise data. This would also enable re-use and repurposing of information, improve sharing and enhance productivity and efficiency of users. Today, even though many corporates have invested in content management systems, a large proportion of enterprise data is non-searchable, be that because the information is still locked within physical paper documents, or it’s in a non-searchable pdf and other electronic file format. This makes knowledge management – an area that is often a priority in corporates – a real challenge, but one that may already have been solved by the organisation’s legal department. The adoption of a DMS is just the start to a true information lifecycle solution for all departments. Each department can then add their own point solutions and integrations to meet their own individual needs. For instance, a finance department might integrate a digital signature solution for increased efficiency. Or a procurement department might add a document scanning solution to streamline contract management in the department. A global asset management company has successfully optimised this approach across the organisation’s departments. Starting out in the legal, company secretariat and procurement departments, today the DMS is available to the real estate, human resources, tax and distribution teams too. All documents and emails in these various departments are stored in specific electronic files or workspaces, providing a single central filing system and full visibility of the data (while always subject to security rights), to the relevant individuals. With all the documents indexed, the search capability is very much like keyword search in Google but greatly enhanced by the ability to combine free text searches with additional rich meta-data searches. This delivers search results in a more defined context. With General Counsel already playing a strategic role in the business, advocating an approach to data management that has been successfully deployed in their department, is a good way to further raise their profile in the corporate in yet another meaningful manner. By leading the organisation to implement the best digitisation solutions, they support the business to improve processes, productivity and efficiency. While the impact of these don’t directly lead to immediate commercial gain, the long-term benefits would be invaluable to the whole organisation – not to mention the reflected glow for the legal department that often bears the brunt of being a cost centre. Roy is the Founder and CEO of Ascertus Limited. Roy has over 25 years’ experience of implementing and supporting software technologies within the U.K., European, and North American legal markets. In 1992, Roy co-founded a software distribution company responsible for introducing the first legal document management systems into the UK marketplace. He has also held senior management positions at PC DOCS Group, CompInfo and Hummingbird. Roy was one of the UK’s first advocates of PC network based document management, imaging, and workflow systems and has spent the last 18 years advising many corporate in-house legal departments about their use of technology to improve productivity, reduce costs, and mitigate risk. Today he is well recognised as an authority in the document lifecycle and work product management space. Follow him on Twitter @royruss and LinkedIn.